A sample of some of the other issues and challenges we’ve been working on. how might we be better support individuals starting treatments for opioid use disorders? The Buprenorphine Treatment Plan Workbook is a take-home guide to aid patients undergoing medication-assisted treatment for opioid use disorders (OUD). A collaboration between DiPi and UC Davis clinicians, the workbook aims to clearly instruct a patient on the process (induction) of starting to take the medication buprenorphine at home. Taking buprenorphine daily can provide relief from withdrawal and craving so that an individual with OUD can start repairing their life. Once a patient starts taking the medication, they must adjust their dose according to specific instructions. Over a period of 3 days, the workbook guides a patient through each day and helps them keep track of their dosage to get it dialed in just right. In designing the workbook, we employ best practices of typography, information design, language, and graphic form to facilitate communication and comprehension so that patients and providers find it helpful and easy to use. The workbook supports programs that allow patients with OUD who are not able to attend daily office visits in person to be able to start the medication at home. Two versions—for an initial dose of 4mg or for an individualized dose—are available under a Creative Commons Attribution-NonCommercial-NoDerivatives 4.0 International Public License. Emergency exit maps in public buildings are an “orphan problem” in design. We expect them to be a “quick read,” a tool we can rely on in the event of an emergency evacuation. But these maps are sometimes difficult to find and almost always difficult to decipher. 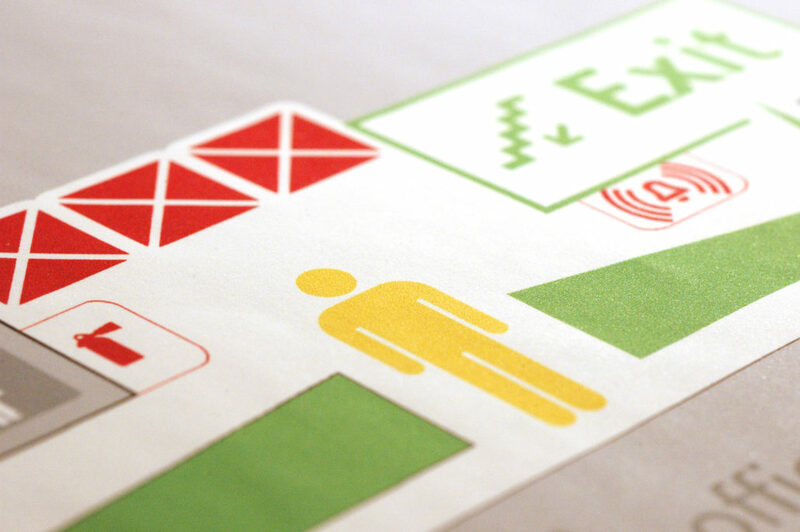 To support emergency preparedness and public safety, it is crucial that emergency exit maps be simple, clear, and effective wayfinding tools. This project focuses on research and design development to create prototypes and models for improvement that can be adapted for use in a variety of public buildings. Many customers find utility bills confusing. How might an improved design help make energy use easier to understand and to change? 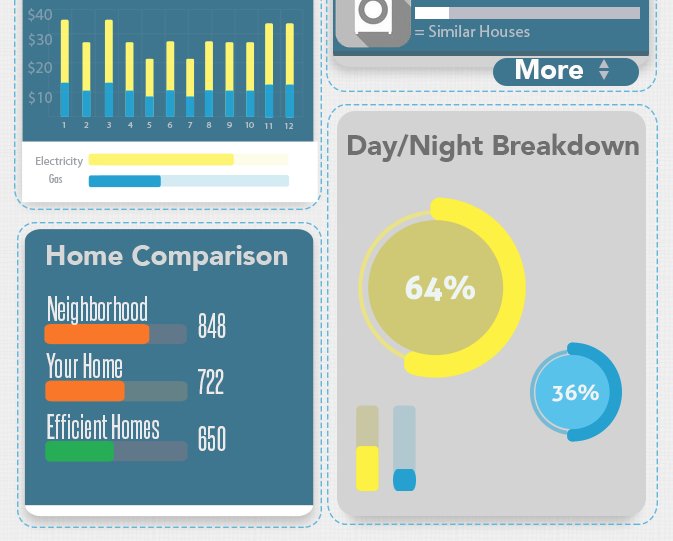 Informed by user-centered research and quick prototyping, we are looking at ways to reimagine the energy utility bill to help customers make sense of their energy use behaviors—how much, when, and how to use less. Send examples of clear or confusing energy utility bills to #ucdipi_energy. We’d love to hear from you about what you find helpful, what doesn’t work, and how you might improve it. This pilot project builds on research and early design proposals developed by a group of six undergraduate students engaged in a DiPi-sponsored independent study.Four students carried the project forward with research and design work focused on creating educational materials and decision aids for sexual assault survivors and secondary survivors. We want to help identify, access, and navigate campus and community resources; aid in the recovery process; and prevent sexual assault from happening. The overarching goal is to empower individuals, inspire proactive responses, and provide skills for navigating challenging conversations. Wireframes to improve sexual assault & harassment resources section on UCD website, plus an update to the resources section on Aggie Mobile containing all the different resources we compiled.